It’s always great to play on a new Jumpman Gaming site so we thought we would check out the bingo available on the new WTG Bingo site to see if it lives up to our expectations. This brilliant bingo site is part of the 15 Network and it appears that there are some excellent jackpots to play for. 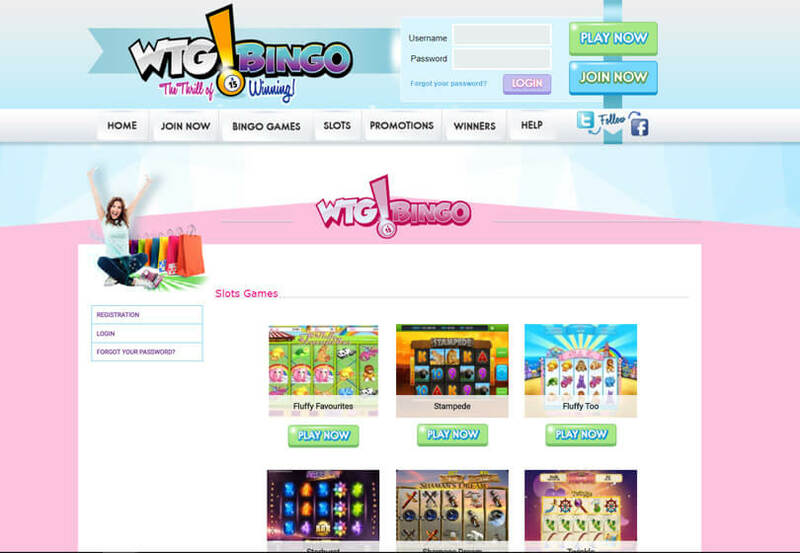 There are also some slots and promotional offers to enjoy so there really is plenty to consider on WTG Bingo. 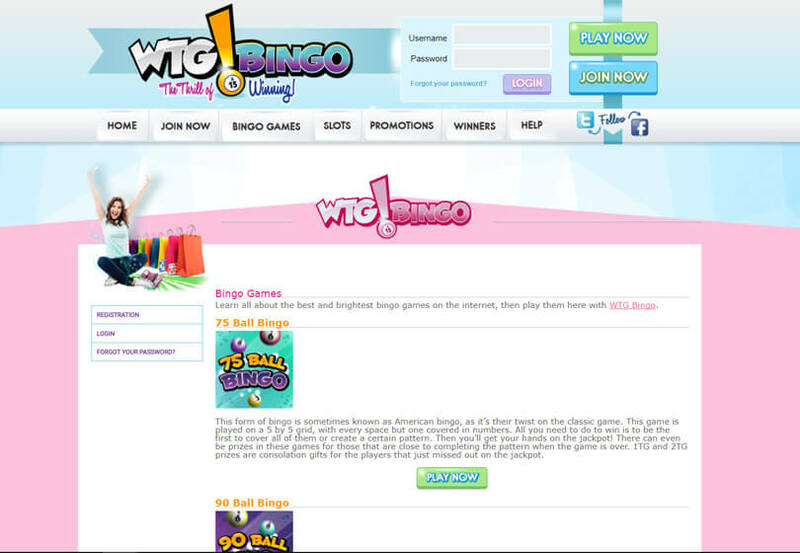 It certainly has the potential to be a memorable site so read our WTG Bingo review for all the important facts! Unlock a spin the wheel bonus on your first deposit, you could win up to 500 free spins! Monday Madness offering full house wins with one line combinations and big prizes! Friday Night Takeaway with a £50 takeaway as the prize. Party Time with 4 exclusive free bingo rooms. Players will not lack for things to do on WTG Bingo and the range of games that is available is impressive, to say the least. We found the bingo lobby to be well-detailed and easy to navigate around with plenty of jackpot games to play for. You will find both 90 and 75 ball bingo on offer and there are even some virtual slot machines to enjoy between games as well so take the time to try out some of these if you are a player that likes to spin the reels. You can enjoy some of the most famous slots on the web including Fluffy Favourites, Jewel Journey and Sugar Train. Try out a few of these when you need a break from bingo and you can spin most of them from just a few pennies. You can make deposits using a number of methods but our advice would be to use the live chat system as this is the quickest way to get in queries resolved although, you can email or phone the company if you wish. Players can only deposit using debit or credit cards currently so hopefully, the site can add more payment methods in the near future. We managed to check out the site on several mobile devices to see if it was compatible and we are pleased to report that WTG Bingo works well on most modern mobile devices. The site is optimised for mobile use and there are plenty of mobile bingo and slots to enjoy. All you have to do is login from your mobile device using your existing sign in details to gain access and you can begin playing straight away and remember that both iOS and Android users can get in on the action. Jumpman sites are always great fun to play on due to the range of games and promotions that are offered to the player. 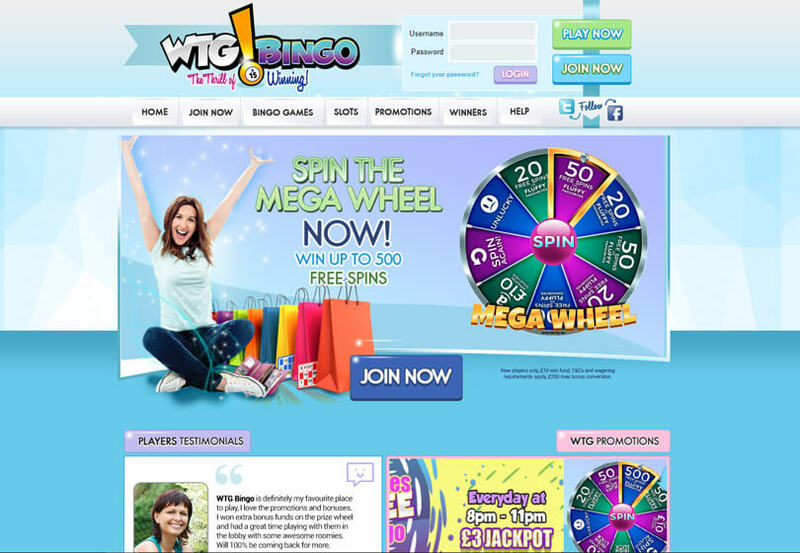 WTG Bingo certainly has plenty of features and games to enjoy. Our favourite feature is probably the bingo lobby due to the vast amount of games that are available. Our advice would be to sign up on the site and try out some of the bigger jackpot games and remember to check out the promotions list too!